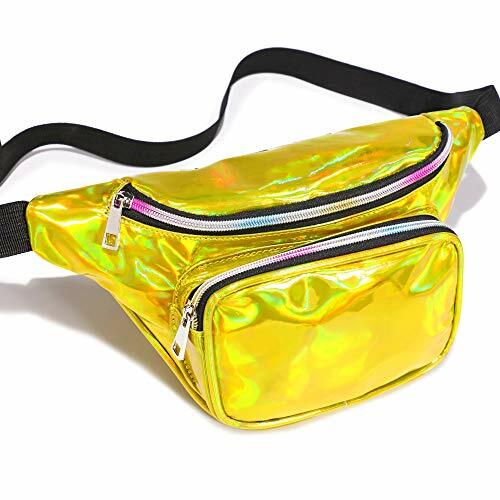 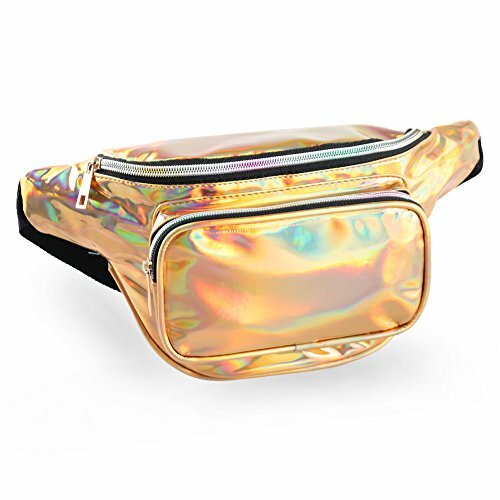 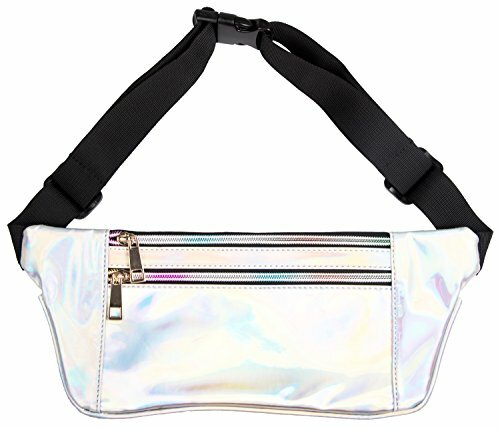 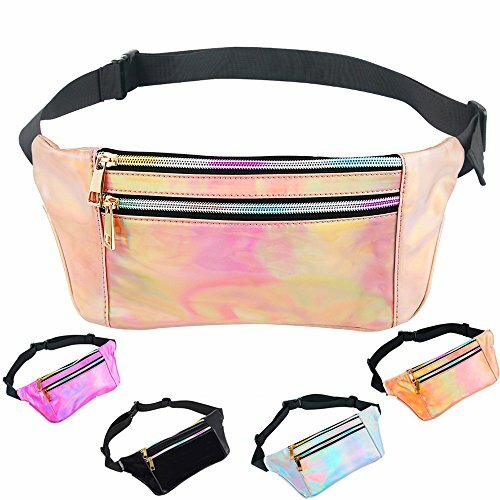 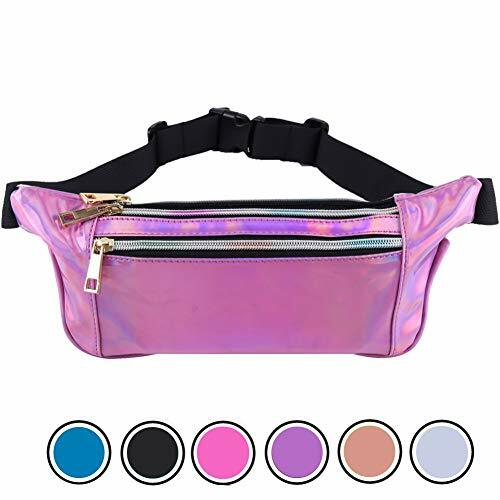 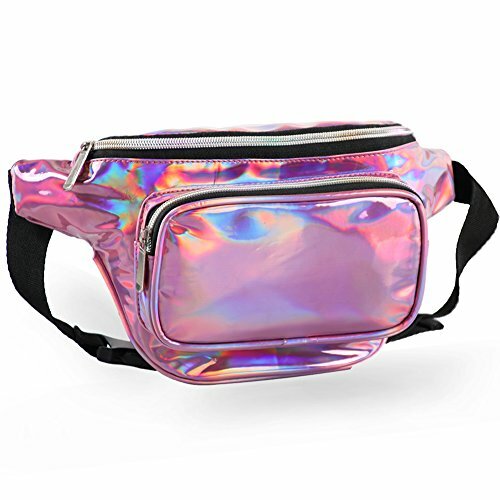 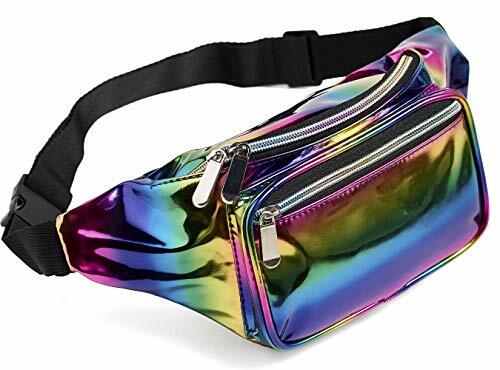 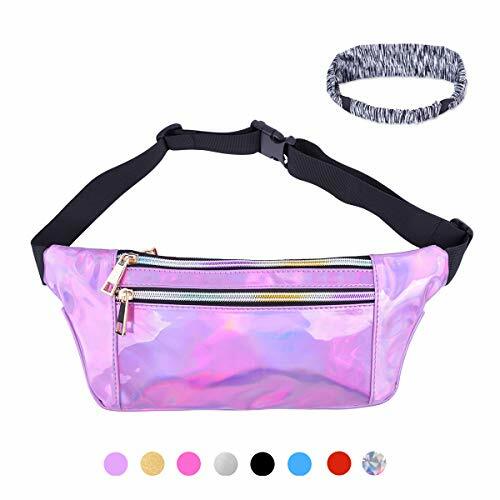 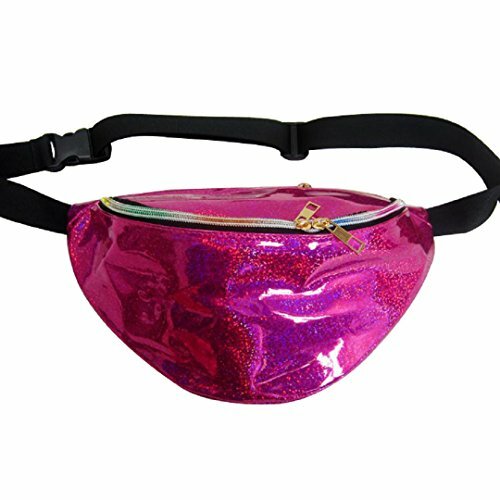 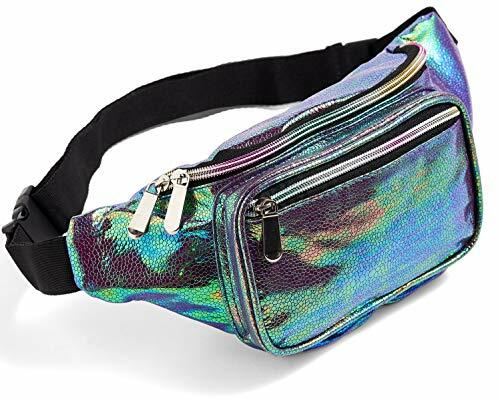 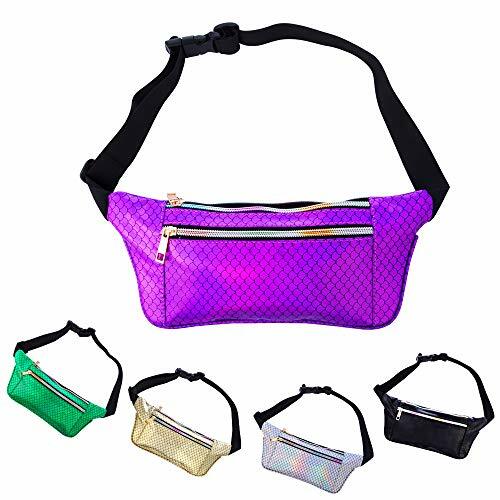 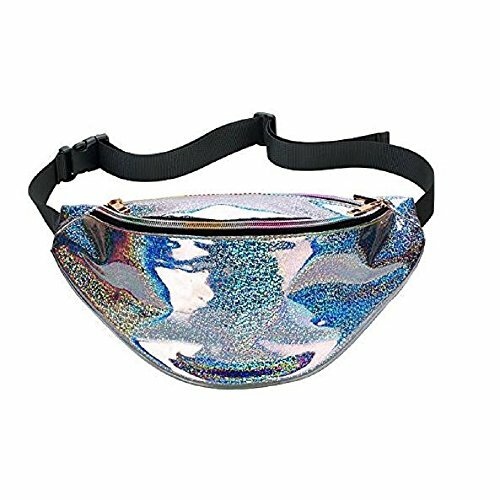 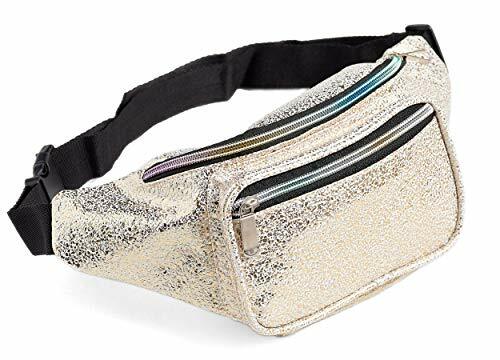 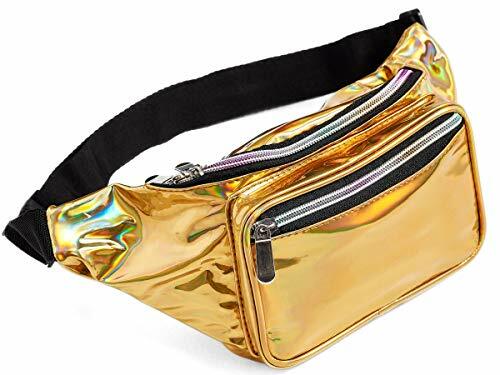 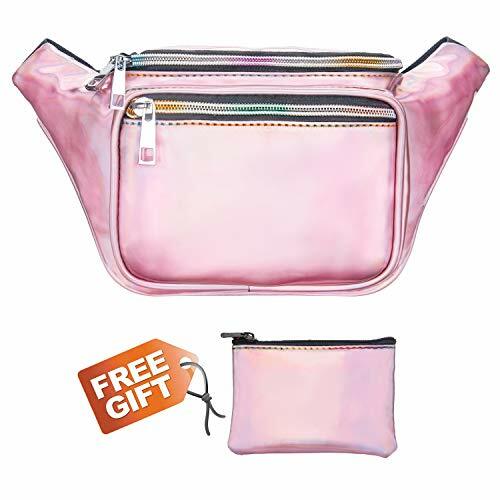 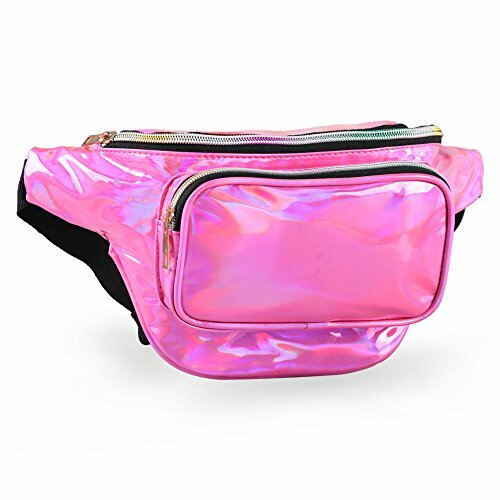 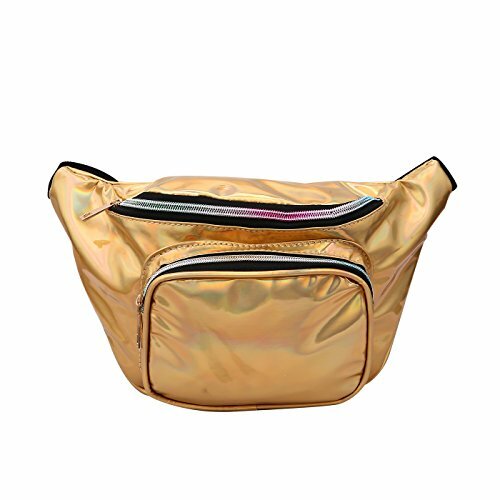 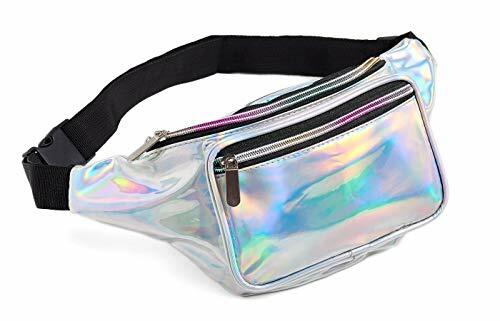 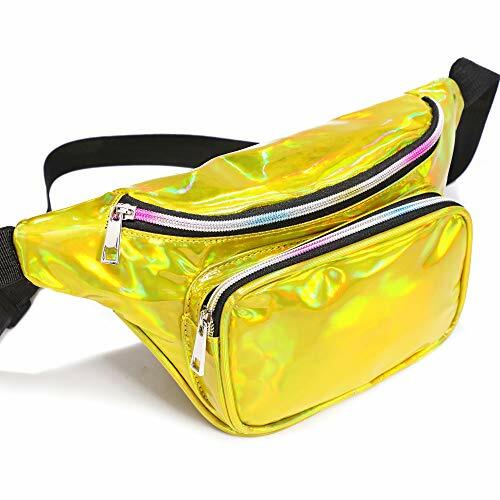 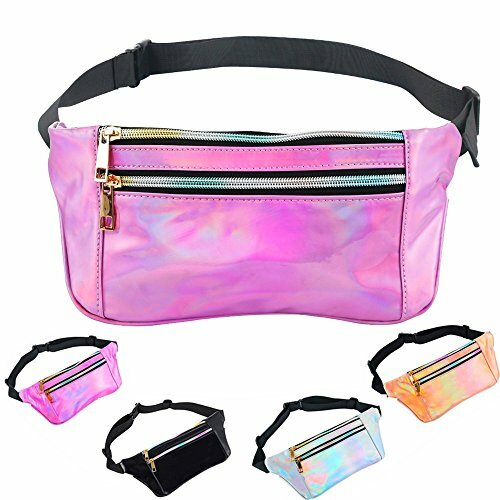 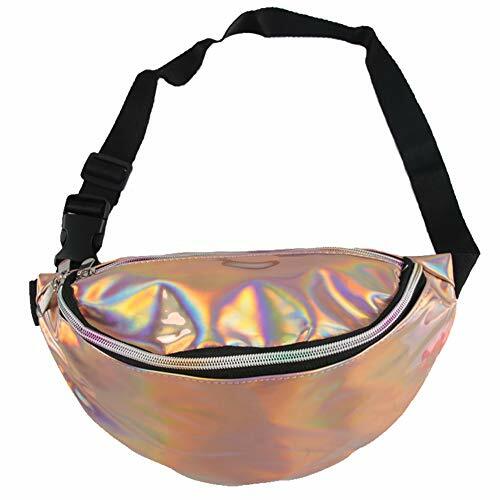 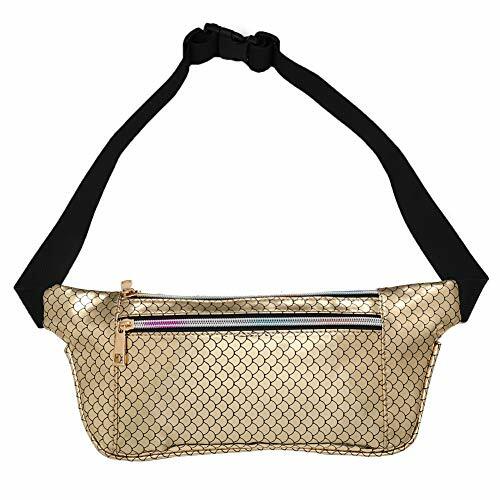 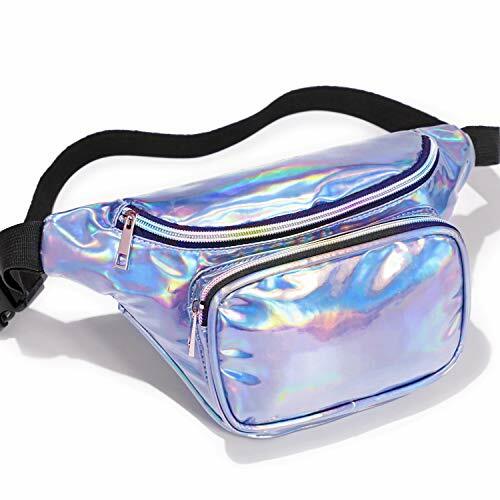 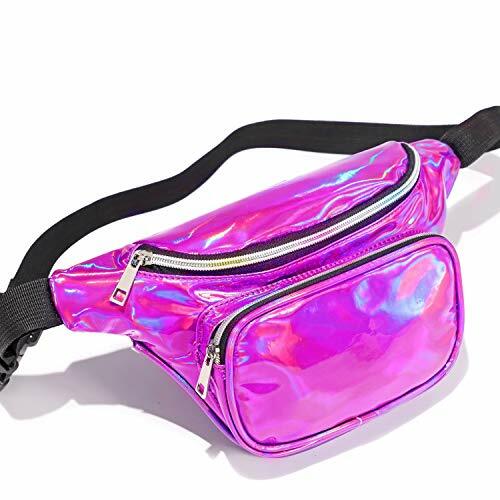 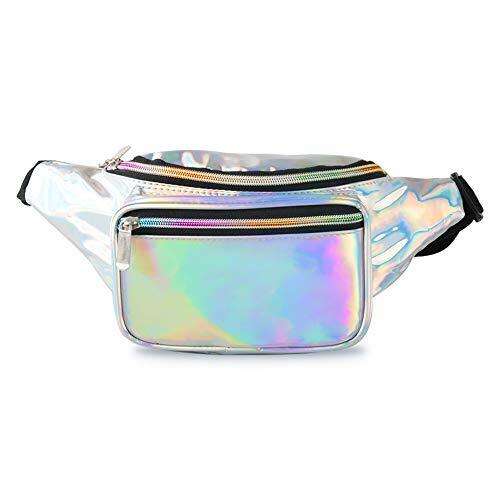 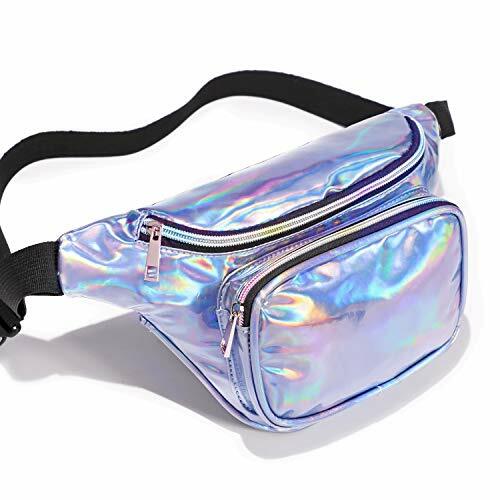 【FUN-LOOKING】Fanny pack has a holographic iridescence which changes as you look at it from different angles. 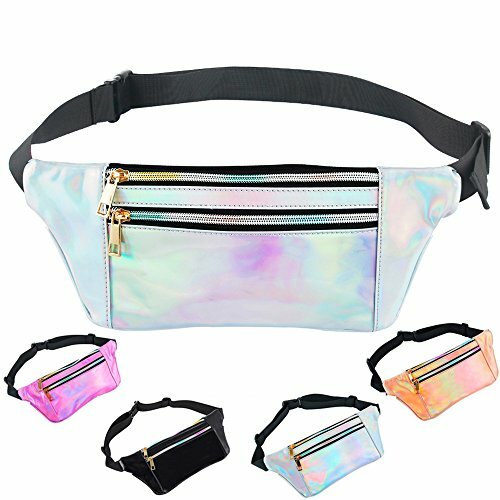 It looks like you always have your own personal rainbow. 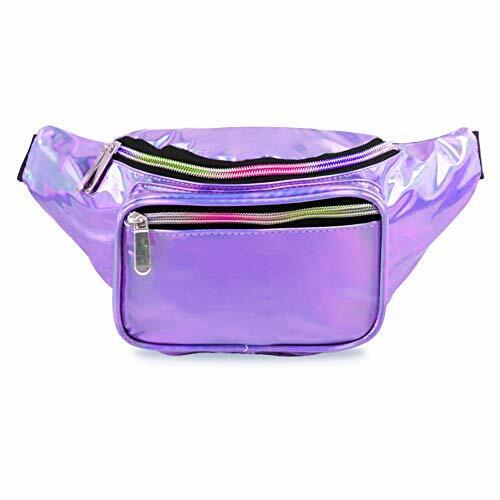 【ROOMY】 This cute waist pack has amount of space. 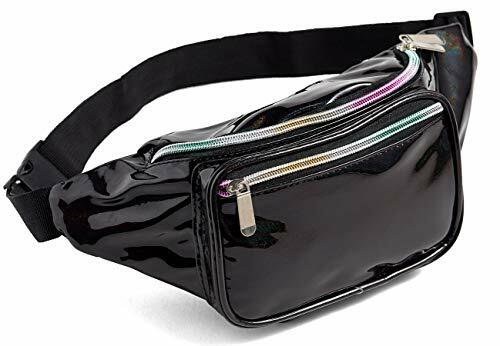 You can comfortably fit a lot of stuff here, like phone, mobile chargers, chapstick, lipstick, eye liner, wipes, wallet, keys and other personal items. 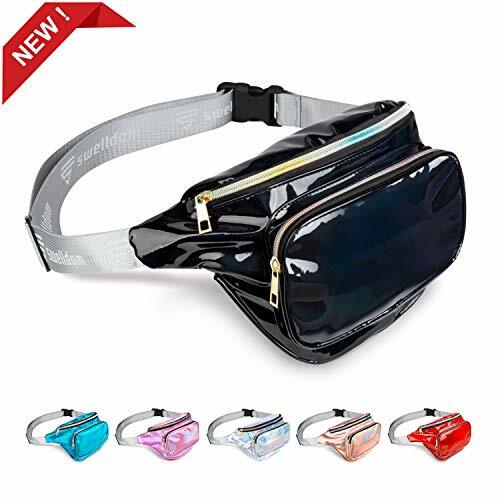 【ADJUSTABLE STRAP】 The strap can accommodate pretty much any size person. 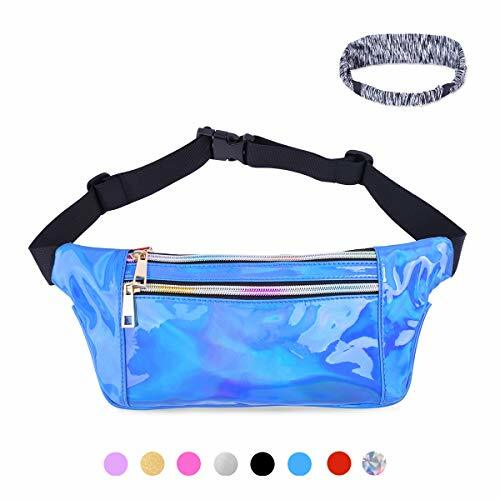 It is quite easy to wear this waist bag. 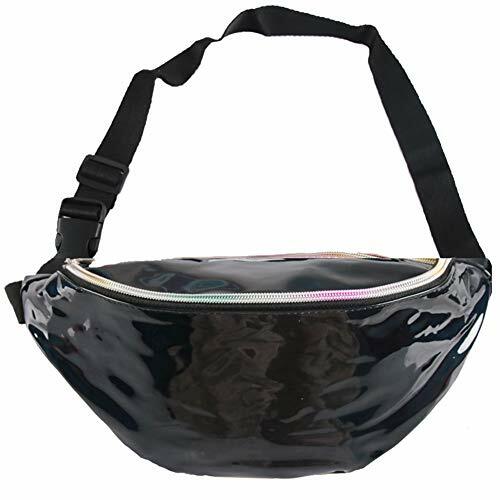 And it is terrific to wear on your back as almost a "sling" type of backpack. 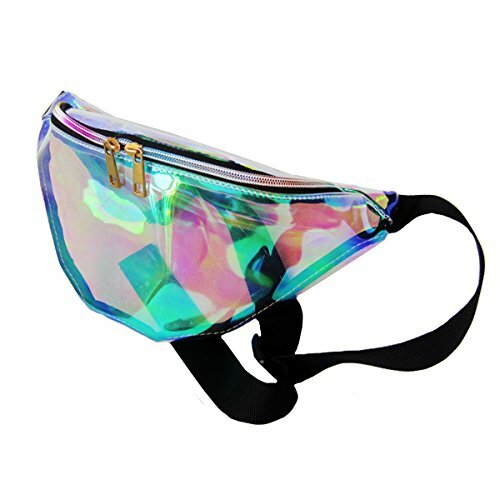 【RAINBOW COLORED ZIPPERS】 It is really cool the zippers have the different holographic colors. 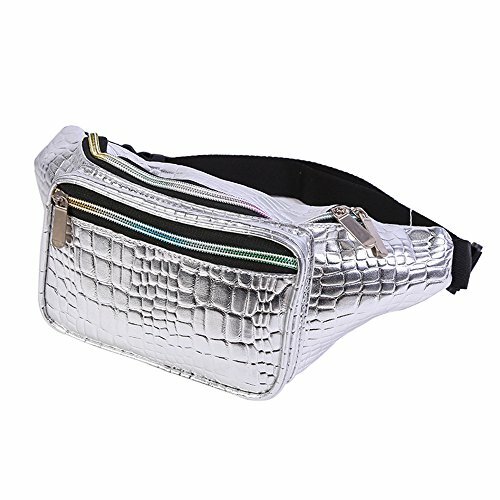 And high quality zipper slides back and forth easily. 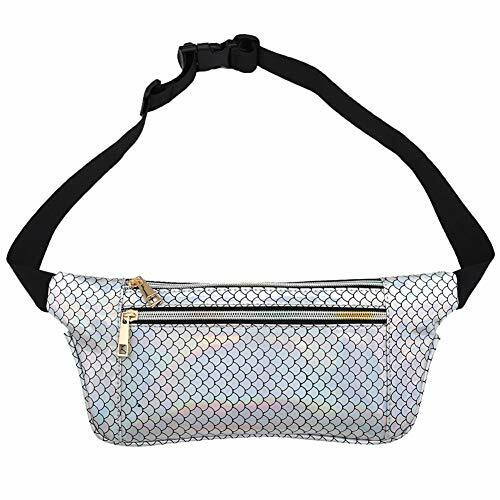 【PRACTICAL USE】 This women waist pack works great for functionality. 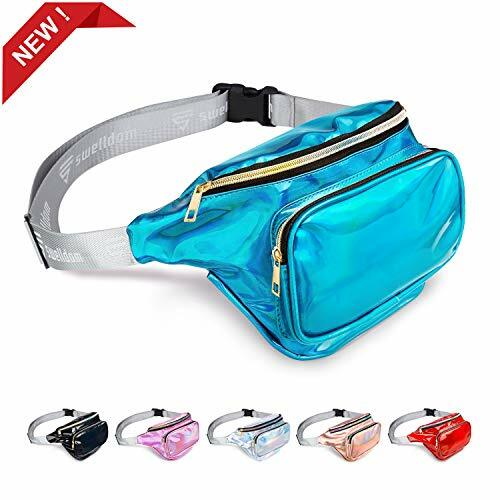 It is very comfortable and lightweight for vacation, part, hiking up mountains, working, walking dog and running around in the park. 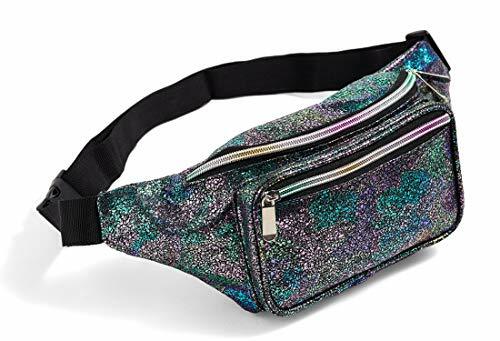 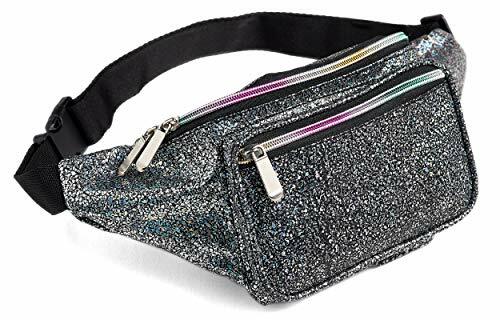 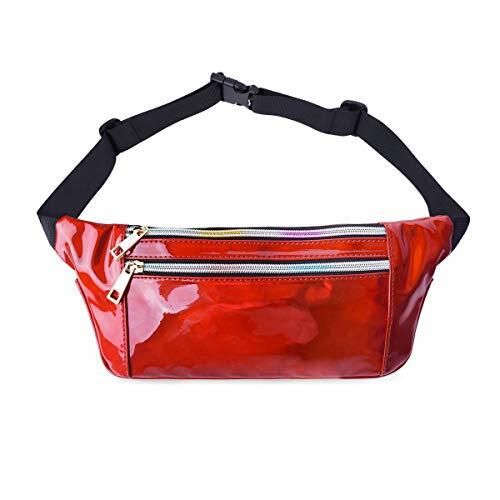 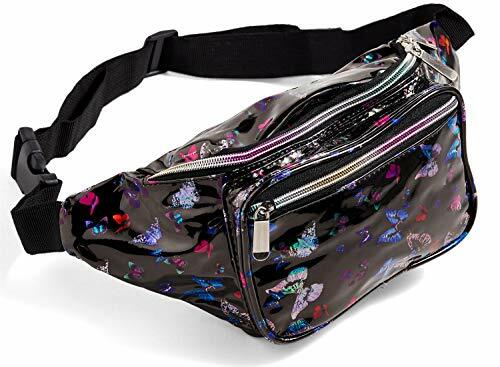 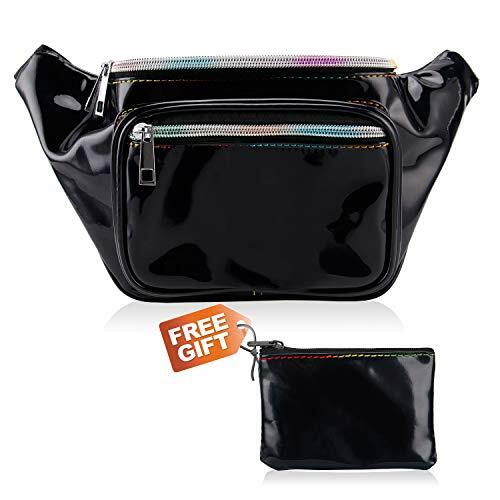 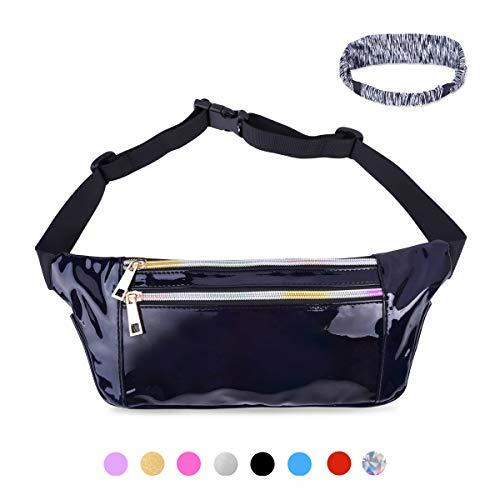 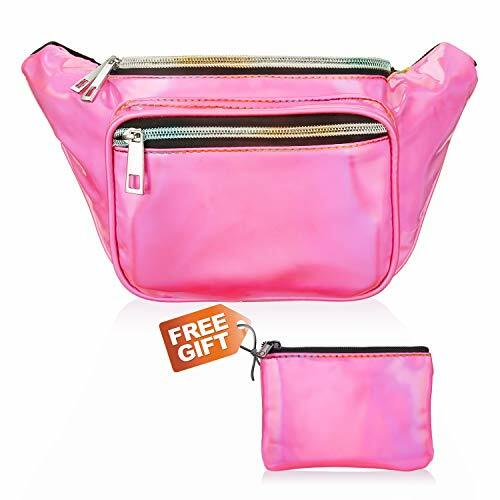 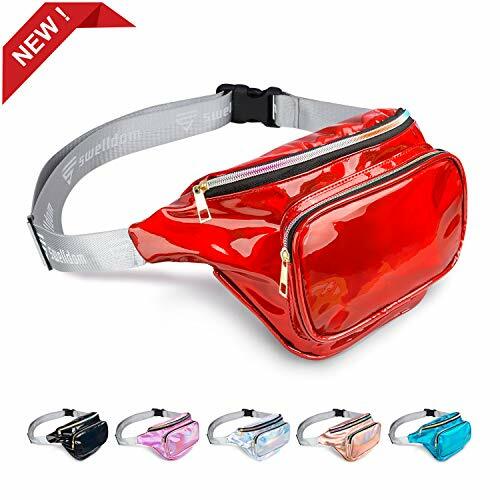 CONVENIENT FOR TRAVEL: Perfect waist pack for Disney theme parks, music festivals, hiking, running, partying, and other travel adventures.Are you confused that you don't know what gifts you should give for your families and friends in the following Thanksgiving and Christmas ? 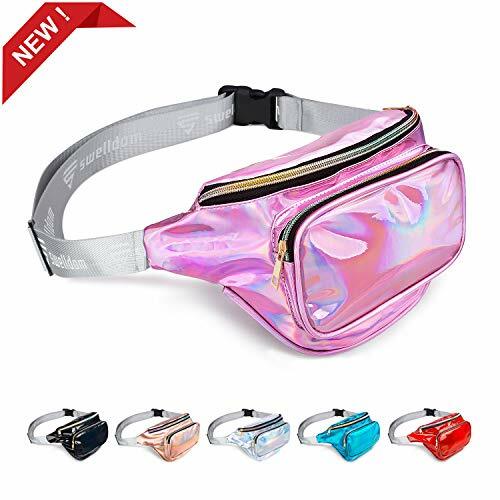 Fanny pack is a perfect choice ! 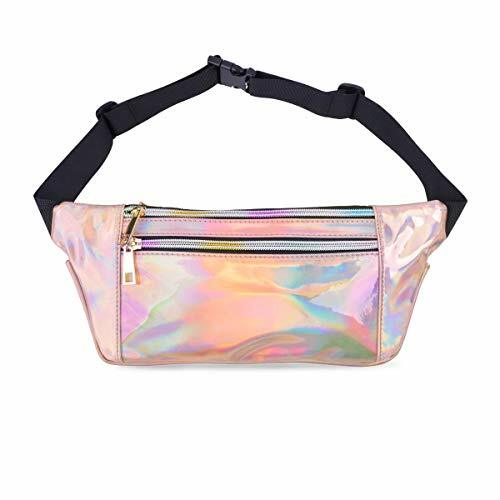 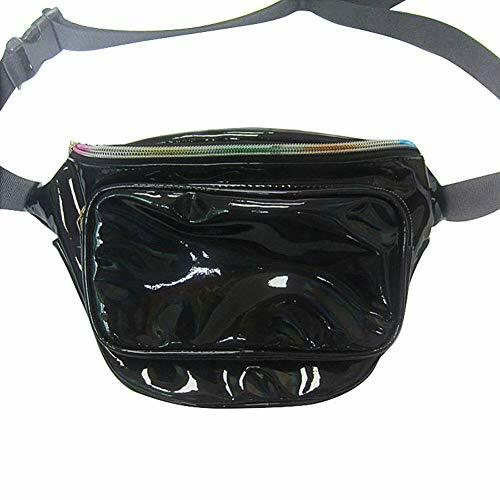 Our fanny pack not only is a fashion accessories for the festival party, but also is a practical items, it can keep your belongings security and make you 100% hand-free. 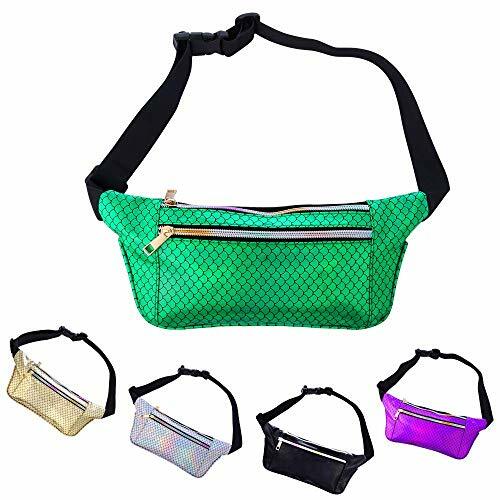 ADJUSTABLE: Long adjustable belt strap extends up to 54 inches and down to toddler sized, so you and your kid can run around with everything you need on hand, hands-free and worry-free.